Stunningly looking, this pattern also works up incredibly fast. 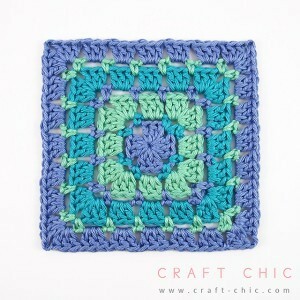 This Block Stitch Square by Ana Benson features little dots of color between rounds of a usual granny square. The pattern is the simplest ever when is coming to turning it into a blanket. All you need to do is to continue the pattern repeats. Called also mosaic stitch or dot stitch, this very simple pattern has lots of possibilities. The finished square measures 6 inches x 6 inches, however, this project can be made larger or turned into a full-sized afghan by continuing the pattern repeats. Check out the original source for this pattern with all the directions and full written pattern at: Craft Chic. Thanks to Ana Benson for the article inspiration and featured image. “It’s so simple ” they said. It’ll be fun they said….. I made an afghan with this pattern with scrap yarn. (I did buy yarn for the joining and border). This is on a California King size bed; 99 blocks. Worked up quick, and much prettier than basic granny squares! I’ve made baby blankets w/this pattern, BUT your afghan of many colors & squares is just beautiful !! this is just double s$#%&!@*ch. This is one of my favorite patterns for making preemie blankets. I have been doing giant granny square afghans for a while. I like this style so now I will try one in this style to see how it goes. 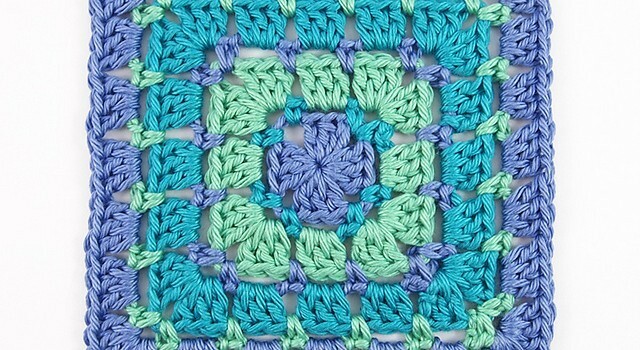 @[535853434:2048:Elizabeth Newton], this is a cool twist on the traditional granny square! I made a baby blanket this way. Maybe now that I have some of Mawma go to hooks, maybe things will turn out..
Love this, including the yarn and color choice. So pretty and fresh looking! I can not read pattern sure wish I could do this one I do granny squares…. You do not have to do individual sqares, you can just keep going around, remembering to do the 3 double crochet 1 single and another 3 double in each corner. it can be as big as you want, and no sewing sqauares together, it can be as big as you want. Using left over yarns make a lovely granny fghan. I have made this one lots of time! I made each of my granddaughters blankets with the giant granny square. The youngest is now 20. I’m going to try this way. Really like this pattern ~ Have made a couple baby blankets from it !! Maryan Sastre, mira qué colores tan bonitos! Impossible to find the true link. I know these are paid advertisements, but please at least put the true link in there. Pfft. Can’t see how the stitches were done, keeps shutting down on me.